Nora Palmatier (right) meets with Anne Little (l) and Carl Little (r) in Fredericksburg. The couple hires college students seasonally from nearby Mary Washington University. Nora Palmatier (right) meets with Anne Little (l) and Carl Little (r) in Fredericksburg. The couple hires college students seasonally from nearby Mary Washington University. 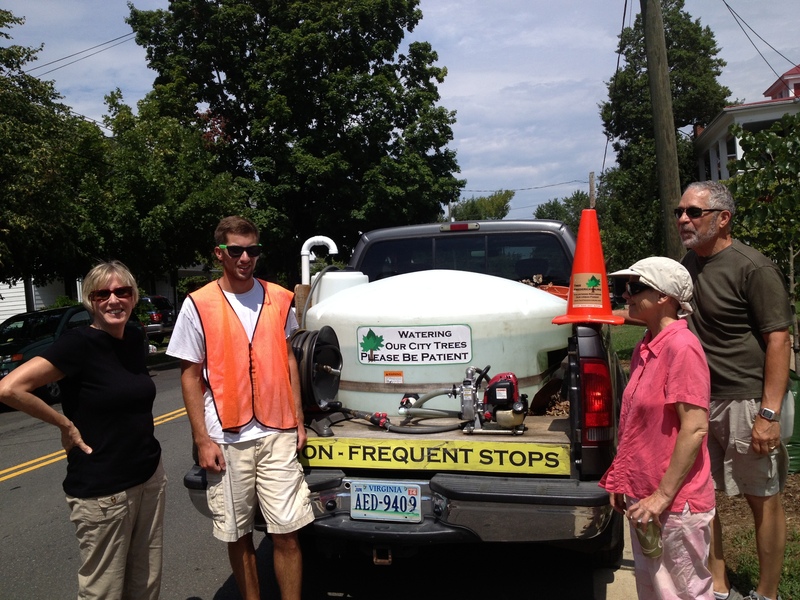 [/caption]In August TreeStewards Nora Palmatier and Christina Campanella met with Anne and Carl Little, the founders of Tree Fredericksburg, to learn how they manage to raise money, organize hundreds of citizen volunteers, and plant scores of trees on city property. Tree Fredericksburg maintains its newest trees, watering them for the first two years after planting. The organization owns the truck and pays for seasonal help. The city provides the water and some labor.